The guys at NIC have invited me back for a second time in January next year to present on Lync in Oslo. This year’s event was really well done with an impressive keynote (Jeffrey Snover nonetheless!) and 2 days packed with valuable infrastructure sessions. In 2014, the focus is on cloud and I’ll be presenting some Lync 2013 sessions relating to best practice and infrastructure awareness. Fellow Lync MVP Ståle Hansen will also be presenting Lync sessions on video interoperability and how Lync integrates with Exchange Server. Learn about functionality you need to think of to meet all the business requirements during a UC rollout that Lync out of the box doesn’t provide. In this session, I’ll cover options regarding operator console, call center software, voicemail compliance, call recording, SBCs and other products that can enhance your deployment. Sometimes we forget how many other products Lync connects to and leverages. In this session, I’ll cover how Lync uses SQL, Active Directory, Exchange Server, the network, DHCP, DNS, Windows Fabric, Office, Windows client and much more! This entry was posted in Events on December 10, 2013 by Justin Morris. 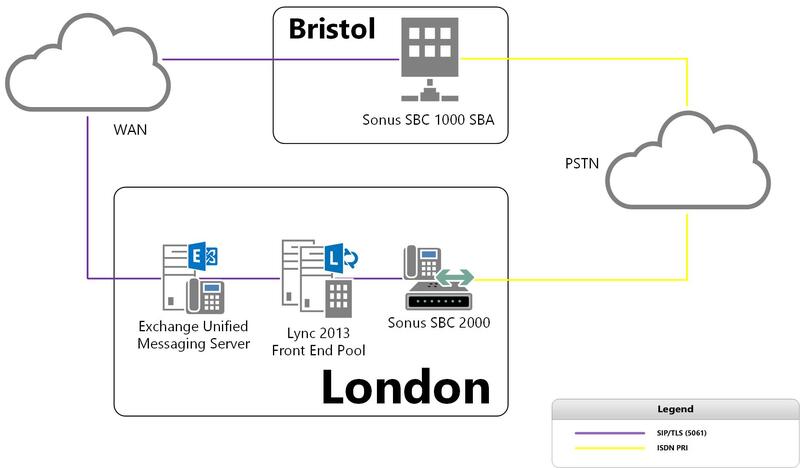 Recently I was working on a customer’s global roll-out of Lync 2013 and we were designing how their branch sites would work from a voice perspective. Each branch site would have an SBA for voice connectivity to the legacy PBX/ISDN and for survivability, but we also had to map out how voice mail would work in the event of WAN failure. This entry was posted in Disaster Recovery, High Availability, Powershell, Unified Messaging on December 2, 2013 by Justin Morris. Recently I was deploying Lync Server 2013 into an existing Lync Server 2010 environment that had Kerberos authentication configured for web services. Based on TechNet documentation, I was under the impression the new servers would take up the Kerberos account assignment automatically, but I was wrong. We found that Lync 2013 failed to sign into the Lync Server 2013 pool. When we checked Fiddler, we were getting back an Unauthorised response from the Lync Server 2013 pool. After a deeper dig into TechNet (specifically the article Synchronize a Kerberos Authentication Account Password to IIS), I found that I needed to synchronise the existing Kerberos account from a Lync Server 2010 server to the new Lync Server 2013 Front End servers. I repeated this for each Lync Server 2013 Front End server just to cover all the bases. Finally, I validated that the 2013 servers had the Kerberos account synchronised to them using the Test-CsKerberosAccountAssignment cmdlet from the TechNet article Test and Report Functional Readiness for Kerberos Authentication. Once the report was generated, I opened it up to check that the new Lync Server 2013 Front End servers were listed and were marked as Successful. When this process was completed, Lync 2013 successfully signed into the new Lync Server 2013 pool. This entry was posted in Security, Server, Web Components on October 21, 2013 by Justin Morris. I was thinking “this doesn’t usually happen, I am perplexed. Monitoring reports are usually bulletproof!”. This entry was posted in Management, Server on October 7, 2013 by Justin Morris. Autumn has arrived, so we’re back for another instalment of London’s Lync User Group, MUCUGL. 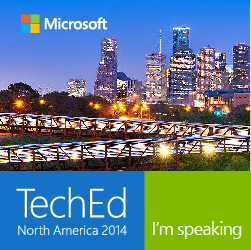 In this event, we’ll be covering Lync Room System and Lync Server 2013 architecture. We’ll also have Will Rowe from MSemploy during the networking session to give us a run down of the Lync job market. As usual, we’ll be heading to the pub after. This entry was posted in Events on September 16, 2013 by Justin Morris.